The world is such a fantastic place and we all have places we want to visit and cross off as we meander through life. Many of us have 'bucket list' ideas of places that are our ultimate destinations too, perhaps Japan would be in there or New York or Venice. There are also those wondrous constructions that are really awe-inspiring, perhaps built by an ancient civilisation or a new modern wonder of architecture that is iconic, somewhere that, if you visit, you know you've been there, and the sort of destination that could be in our own personal seven wonders of the world. So when Exodus Travels asked me about my seven wonders of the world, the places I have visited and places that I want to visit that fill me with a sense of wonder and awe then I had to think long and hard. Should I focus on destinations such as Iceland or Sri Lanka or should I focus on constructions like the traditional seven wonders of the world, or should I just mix it up? Well here are my seven wonders of the world, personal to me, let me know what yours are, and enter here to win your own seven wonders of the world with Exodus Travels. 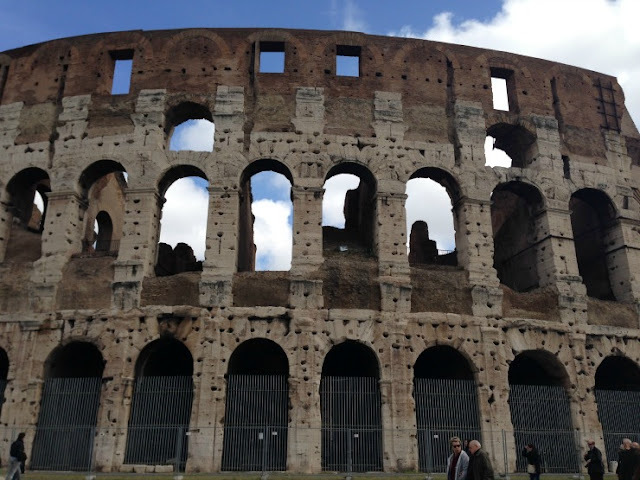 Rome is an amazing historic city, and one of the must-sees is definitely the Colosseum, an oval amphitheatre in the centre of the city. The Colosseum in Rome was used for gladiator contests, reenactments of famous battles, dramas based on Greek mythology and public executions. In its day it could hold between 50,000 and 80,000 spectators. If you have ever seen any movies about gladiators, you can really imagine the spectators putting their thumbs down when a gladiator lost a fight. At the southern end of Red Square, Moscow, St Basil's Cathedral stands out with its colourful decor. The patterns and colours make for a striking and awe-inspiring sight. Built from 1555 to 1561, this masterpiece would become the ultimate symbol of Russia and was commissioned by Ivan the Terrible to celebrate a battle victory the 1552 capture of Kazan from Mongol forces. It is now a World Heritage Site. Why the Top Of The Rock you may ask? 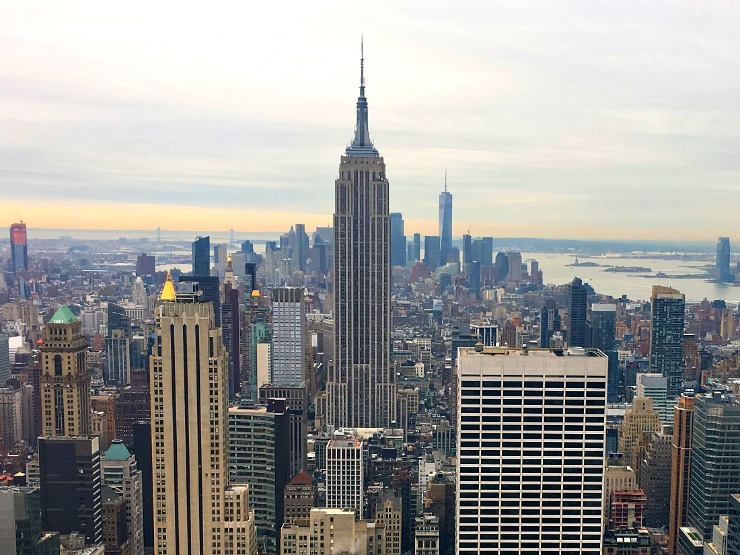 The iconic view of New York from the top of the Rockefeller Centre is a view that means you are in one of the best cities in the world, with the bustling working city below you! The Rockefeller building is a large complex of 19 buildings but it's most famous for the view which takes in the Empire State Building. The view of New York City is simply breathtaking. 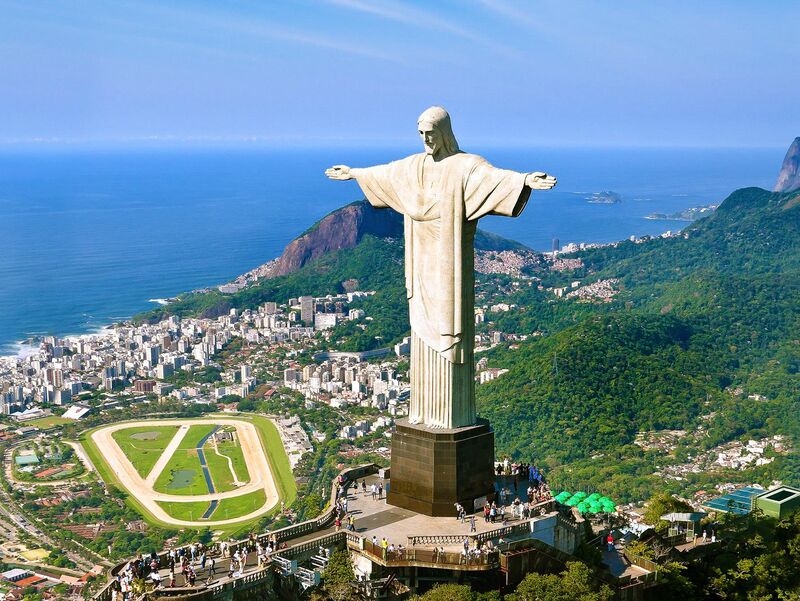 Ever since I saw it on children's television programme Blue Peter in the 1980s I've wanted to see the statue of Christ The Redeemer in Rio. At nearly 30 meters tall excluding the pedestal, you can't miss it as it dominates over Rio. The statue of Jesus with his arms open is made of reinforced concrete and clad in a mosaic of triangular tiles. Even though I am not religious, it would surely be a sight to see. The whole city of Bath in the South West of England is a UNESCO world heritage site, known for its 18th Century Georgian architecture and its natural hot springs. The Roman Baths are in the centre of the city, dedicated to the goddess Sulis by the Celts and then adopted by the Romans and dedicated to their goddess Minerva around AD60. 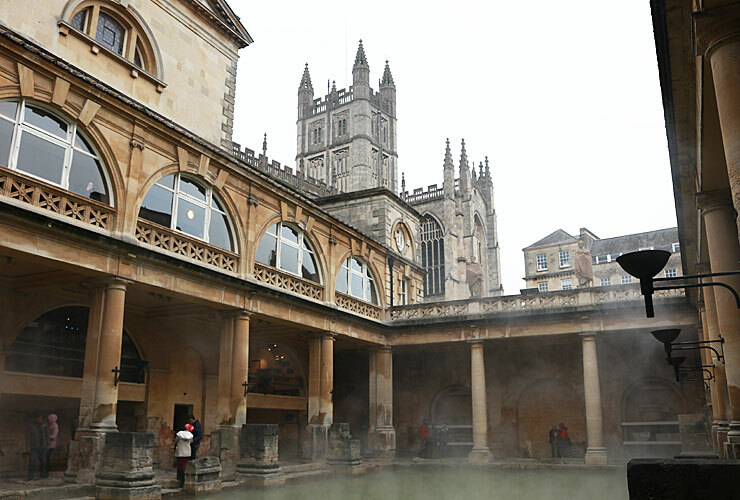 The Romans kept the original Celtic name calling the site ‘Aquae Sulis‘. The Roman Baths are no longer used for bathing but to see this ancient site and read about the history is enthralling. A must visit. 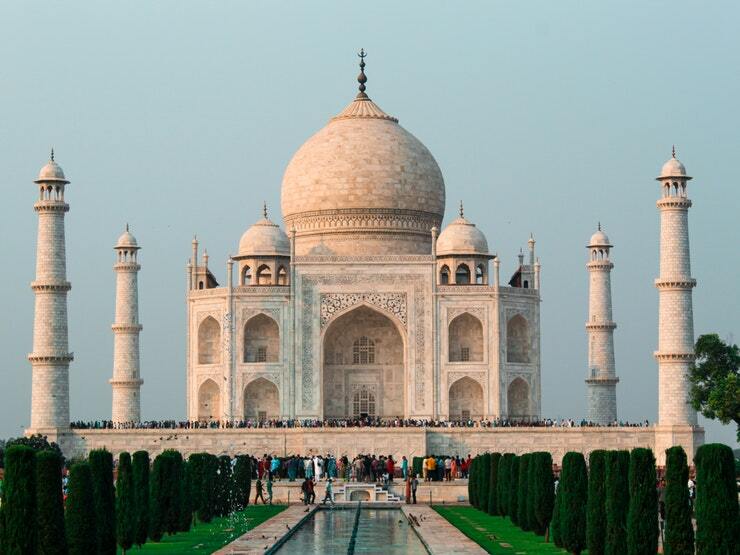 The Taj Mahal epitomises India and nothing says India more like it. Another UNESCO World Heritage Site it was built by Mughal Emperor Shah Jahan in memory of his wife - with construction starting in 1632 and finishing in 1653. Made of marble it is a beautiful building both inside and out and inside the gorgeous decor has intricate flowers, calligraphy and geometric shapes all around. 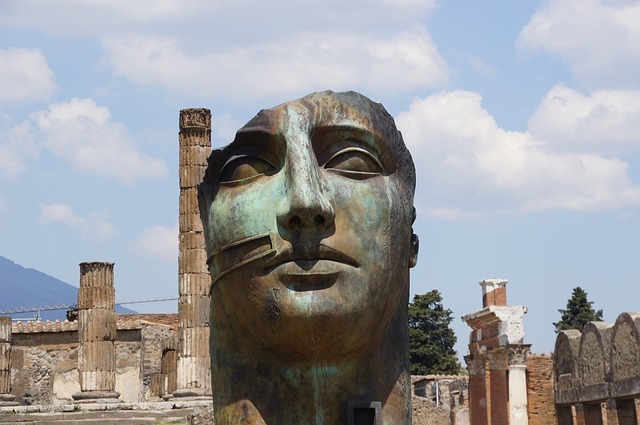 My last wonder of the world are the ruins of Pompeii near Naples, Italy. Since I studied the eruption in AD 79 of Mount Vesuvius in school and the aftermath of the volcano erupting I have always wanted to see the remains of the cities decimated. It has erupted many times since - the last being in 1944. It's a sobering place, after all, many people died but it's such an important historic site, and you can learn much about life in those days as much was preserved, such as buildings, graffiti and even the outline of the bodies. So these are my seven wonders of the world. What are yours? My seven are Machu Picchu, Taj Mahal, Statue of the Christ Redeemer, Rio de Janeiro Catherdral, the Mayan site Uxmal, Sigiriya Rock Fortress of Sri Lanka and Little Petra. But there are so many wonders in the world both manmade and natural - my list of natural wonders is so long - it is hard to narrow it down to just 7. I would love to go to Sri Lanka! You have some great choice there. Yes, I would love to see that too. I too agree with the Colosseum - it is amazing and to see it in person is incredible. I think I would have to include Pompeii too! Yes I have also wanted to go to Pompeii! Wow you have visited so many gorgeous places! 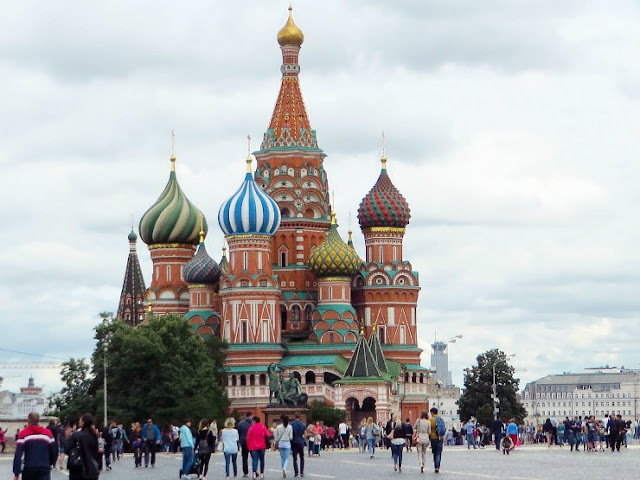 I would love to see St Basil's Cathedral, I think it's so stunning. The Eiffel Tower is such an iconic Paris landmark isn't it? I've never seen it lit up though, I can only guess that it is beautiful. For me the ancient world of the aztecs and chitiniza would be on the top of my list. There are so many places I would love to visit in the post! What an amazing list.